GMP Performance was founded in Charlotte, NC in December of 1975. We specialize in performance upgrades for European automobiles tailoring a client's vehicle to complement their personality with custom wheel and tire packages, sport suspensions, free-flow exhausts, engine power upgrades and interior appointments.We welcome enthusiasts to our 14,000 square foot facility to browse the showroom getting a hands-on experience with the upgrades we offer. Products displays surround our knowledgeable sales team and a waiting room with window into the shop provides a viewing area to oversee installations. Our shop is specifically designed to accommodate our performance upgrades. We designed our lifts and they were custom-built by Rotary with low-profile arms and pads to specifically accommodate lowered vehicles with intricate under paneling and specific lift points. Our Hunter Hawk-Eye Elite laser aligner pods clamp to the tires protecting the wheel face allowing us to perform alignments with ultra-precision and custom built race ramps measure 10ft to provide the lowest possible approach angle onto the rack. Our mounting and balancing is done with Hunter equipment. They revolutionized tire balancing with their Road-Force equipment and we expertly use it on every set of wheels and tires. 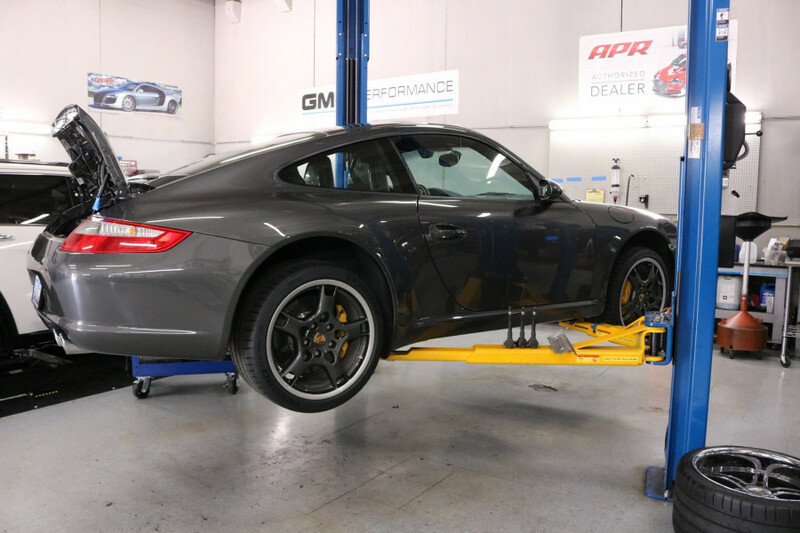 At GMP Performance, our installation philosophy is to respect the original manufacturer's design and determine the opportunities for improvement. Upgrading a vehicle with aftermarket products must blend the design philosophies of tuners as well as automobile manufacturers. Performance upgrades can only perform if they are installed properly. Our Motorsports Mentality encompasses a thorough installation process combined with a "No Air Tools" policy and unique pay plan for the technicians to encourage thoroughness, versus volume. We also offer street and track vehicle maintenance services that exceed minimum recommendation levels to ensure a vehicle is capable of sustaining the performance enhancements we are installing. I cannot say enough great things about GMP Performance. I have had the pleasure of working with GMP for all of my performance needs and they have taken excellent care of me and my car. Everyone at GMP is friendly, knowledgeable, respectful, but most of all passionate about what they do. Visiting the shop is always an exciting experience, as the facility is clean and houses many exotics. It's also cool to look at all the awesome products neatly displayed by the entrance. They take pride in and stand behind their work. Not only does my car go really fast now, but it also reflects my personal style. I highly recommend GMP to anyone looking for performance and cosmetic modifications or just routine maintenance. They will help you get the most out of your car. The team at GMP are superb: they offer amazing customer service, incredible experience, and unbelievable performance. 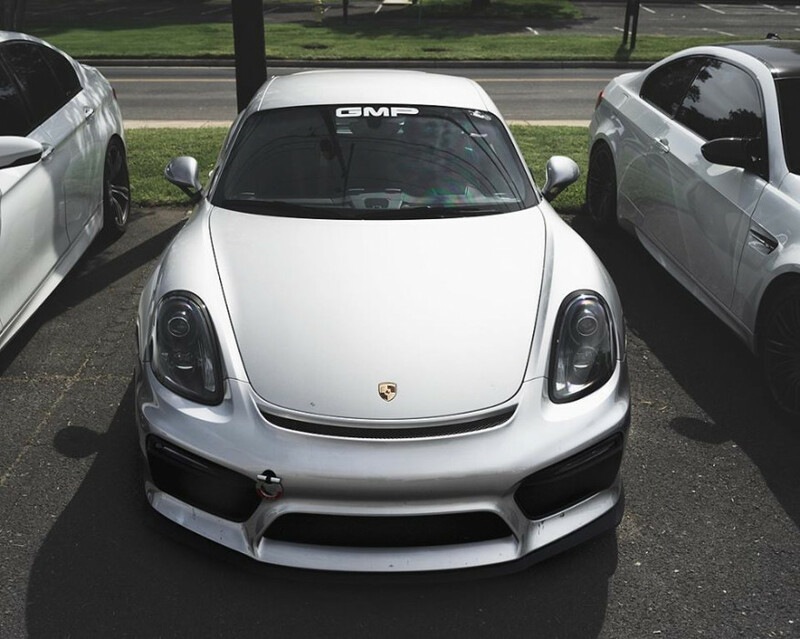 If you want a mod, performance upgrade, mechanical service, or general maintenance, you won’t find a better place than GMP. I trust them in every way to keep my 911 turbo S running great and delivering outstanding performance. GMP is great. Tremendous technical expertise and genuinely nice guys, too. I have 3 German cars and they’ve worked on all of them for years. Highly recommend. Great guys, excellent service, fair prices. Definitely go here for your Euro automotive needs!